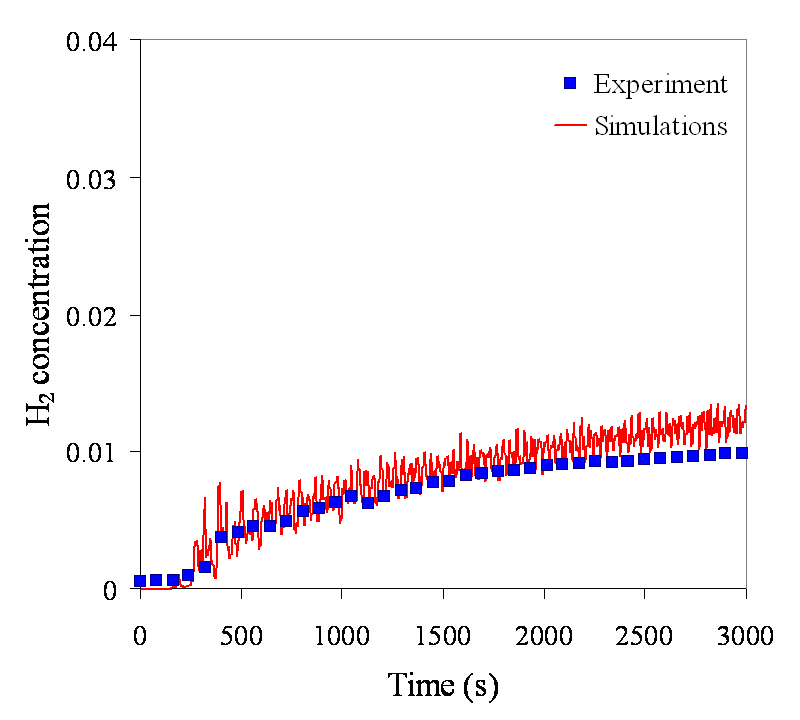 In general good results were obtained for all these blind simulations. The following pictures show examples on how Gexcon/FLACS performed in some of these blind prediction exercises. In the INERIS experiment, 1 g/s of hydrogen was released vertically upwards (38 m/s) for 4 minutes in a garage sized room. 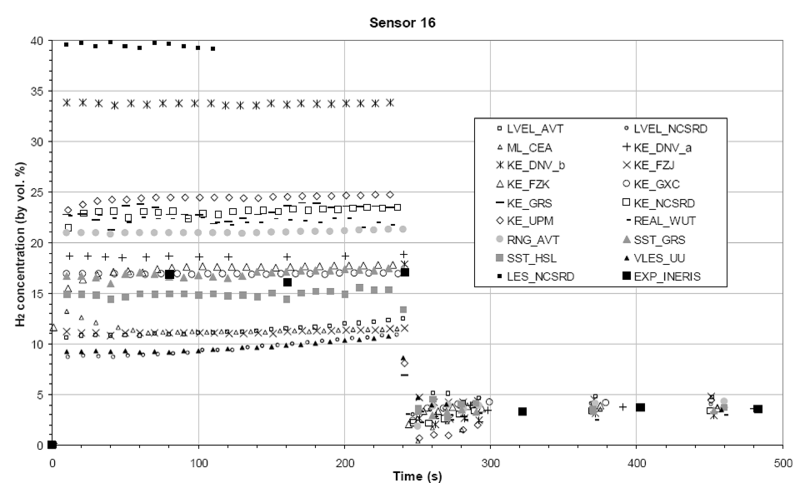 The diffusion of the released gas was monitored for 2 hours after the release The upper two images show the FLACS predicted concentration versus experiment data, as measured above the release point (left) and 1m above the floor to the side (right). The lower two images (above) show how the 17 different participants performed. 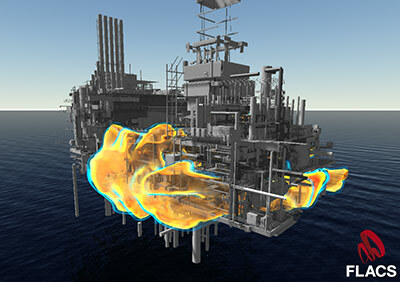 FLACS simulations predicted the experimental data well (both modelers from Gexcon and DNV), and FLACS was the only software that accurately predicted the experimental concentrations for the point 1m above the floor and to the side of the chamber. FLACS and a competing software contributed to a recent NIOSH study on mine safety. 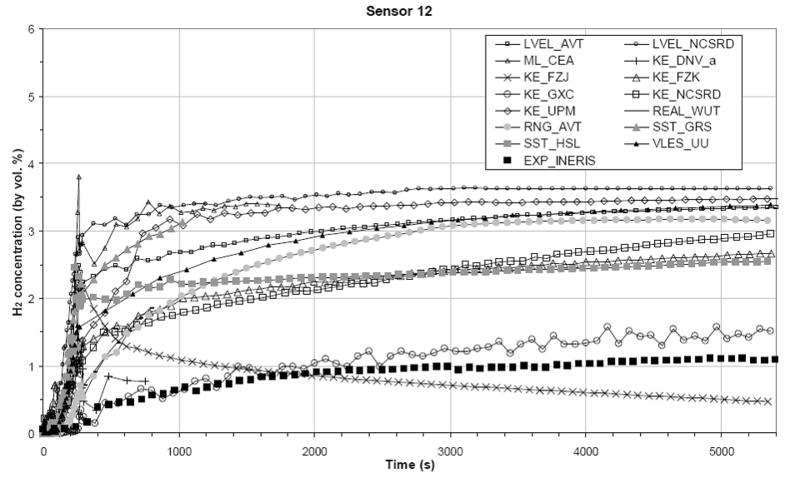 As a part of the study, simulations were conducted of 6 previous experiments performed by NIOSH (tunnel tests with up to 18m long methane gas clouds). 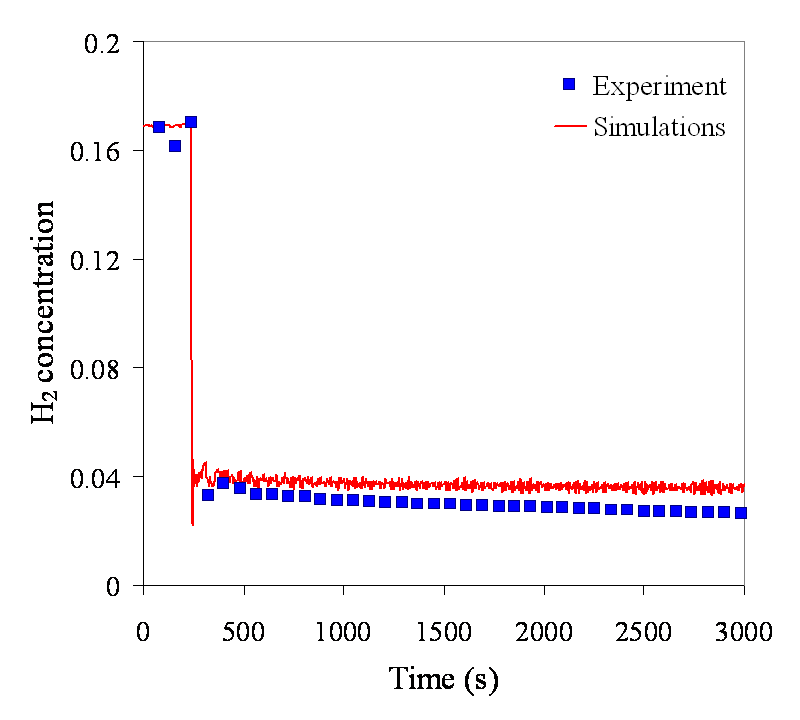 Gexcon decided to blind simulate these experiments, whereas the competing software performed simulations only after receiving the test results. Regardless, the FLACS blind simulations were significantly closer to the experimental data than those of the competing software. More specifically, FLACS predicted pressures were on average less than 10% from the experimental results for the 12 recorded pressure locations (2 sensors for each of 6 tests). 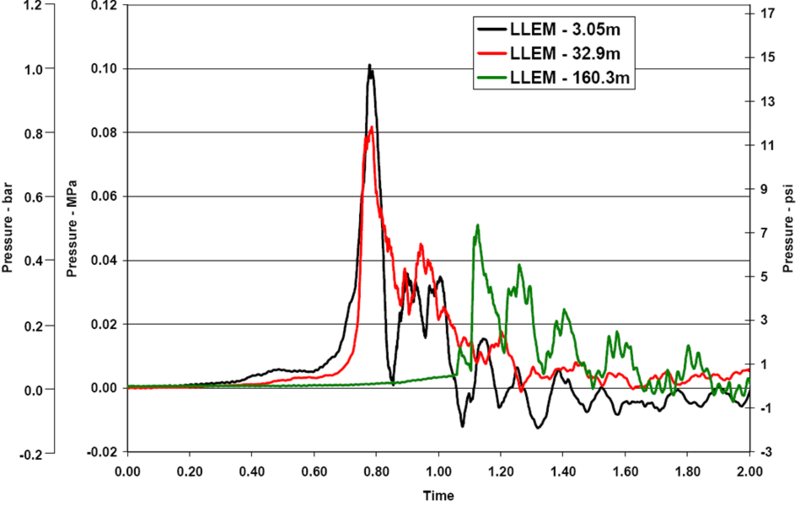 The left image above shows the estimated observed plume shape for one of the tracer gas release tests in Midtown Manhattan in 2005, whereas the 6 plots to the right show predictions from 6 models (Flaherty et al, Evaluation Study of Building-Resolved Urban Dispersion Models, presented at Seventh Symposium on the Urban Environment, 10-13 Sept 2007, San Diego). 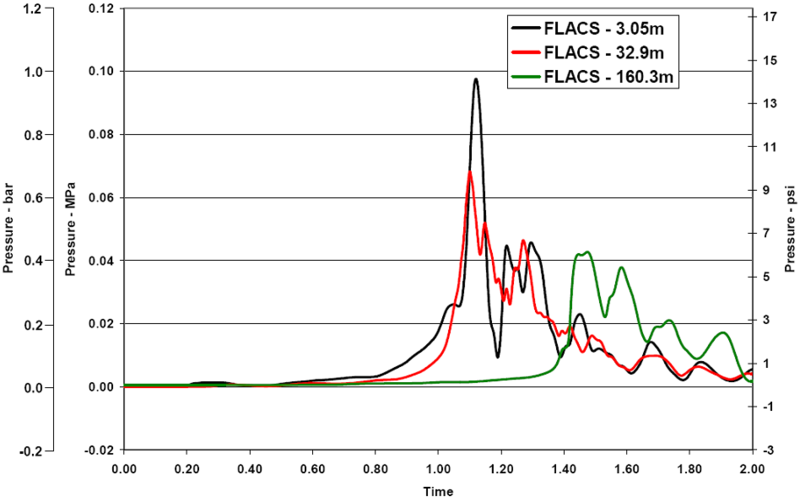 One of the models is FLACS, but due to the confidential nature of this activity, Gexcon cannot provide more about the results or conclusions from the study.